In this era of globalization competition among banks is increasing intensively. So to compete with other banks, ICBIBL should gain more efficiency in banking sector. As the world is changing every second they need to upgrade their service otherwise it is not so far that the bank will lost its valuable client. Today’s customer is more concerned and more knowledgeable and they will switch where they get better service. The bank provides a wide spectrum of financial products and services to small, medium, and large businesses. And in keeping pace with ongoing technological innovations, the bank constantly looks for ways to improve its products and services. As ICBIBL is one of the first generation banks, its operation and management system is quite backdated. There is absence of using modern banking services like Electronic banking system, Phone banking system. Employees should be trained up, so, that they can easily work with to-days modern competitive technology. Traditional banking operation is seen because there is still coin & scroll system, which is time consuming for customer, where their competitor like Prime Bank, City Bank have come newly but they are able to provide better services. Customers have to wait long time to get banking service, as they don’t have fully computerized service. As the whole process is so lengthy it increases bank cost, and time. I think bank management authority has to be more efficient that they can cope with modern change. Insufficient presence of modern communication equipments. Application of modern technology such as computerization is not enough. I think most profitable sector of bank is its foreign exchange department and advance department. But their office space is congested and they fail to give customer good entertainment. Poor conditions of balance of payments of ICB Islamic Bank Ltd. Lack of fair entrepreneur class. Knowledge of entrepreneur about foreign trade policy is so poor. The sample size of my report was small and it was 20(twenty). The major respondent group was the exporters of RMG sector who are dealing with “ICB Islamic Bank Limited”. Another respondent group was the Bankers who are working in the foreign exchange department of “ICB Islamic Bank Limited Ltd”. I had to collect information from twenty Exporters and bankers from different branches of “ICB Islamic Bank Limited Ltd”. I have analyzed the collected information below by using SPSS software. The Exporters of RMG sector in my survey produce different types of goods like woven garments, knit garments and sweater garments. Woven garments include pant, trouser and knit garments include shirt, T-shirt etc. About 60% exporters of my survey produce knit garments and 40% exporters produce woven garments for selling to the foreign countries. The major buyers of our RMG sector are Canada, Netherlands, America, Germany and United Kingdom. The highest remittance is coming from Canada and Netherlands in Bangladesh. The exporters of RMG sector have to keep securities in the advising bank to get export facilities. Before dealing with any advising bank, the exporters of RMG sector have to get permission from Bangladesh bank and Bangladesh export promotion bureau. The Bangladesh Bank gives a total credit limit for one year. About 100% respondents said that they keep securities for the export facilities. The exporters keep securities for export facilities. Those are land, factory and machinery, flat and FDR. Most of the exporters keep illiquid securities like land and factory and machinery. About 100% respondents said that they don’t purchase fabrics and accessories in cash. They open back to back L/C for buying fabrics and accessories in cash. When an export L/C comes through buying house or directly to the exporters advising bank, they have to open back to back L/C to buy accessories and fabrics from local market or foreign market. About 50% respondents said they buy accessories and fabrics from foreign market. So the currencies we get by exporting, we have to spend it to buy accessories and fabrics from foreign country. It can be said that our backward market is not good. About 35% respondents said they open back to back L/C in the local market to buy accessories and fabrics. About 15% respondents said they buy accessories and fabrics from both local market and foreign market. The exporters of RMG sector buy accessories and fabrics mostly from China, Hong Kong, Turkey, Pakistan and India. The backward markets of those countries are very good. I have found from my survey that 95% exporters need 75% back to back L/C facilities against an export order. About 5% exporters need 76.50% back to back L/C facilities. Sometimes exporters can not meet demand with 75% because of big order. The exporters also need pre shipment credit. This is also called packing credit. The banks give 10 % packing credit facilities. The exporter needs packing credit to execute export in time. They utilize this credit to give the wage, electricity bill, office rent, overtime etc. The export L/C can be cancelled for different factors. It can’t be described in a word that how much a cancelled export L/C impact in our economy. Our economy growth partly depends on our foreign remittance, so if one export L/C is cancelled then our country looses foreign currency. If we analyze previous five years, then we will see that maximum export L/C (12) was cancelled in 2006. The lowest number export of L/C was arranged in 2005. The highest number export L/C was arranged in 2008. Most of the reasons were late shipment, quality goods and changing buyer behavior. The year of 2005 and 2006 was the worst time for our economy. Because that time political condition was not good. The two prime political teams made such a poor environment in Bangladesh at that time, it was quite impossible to deliver the goods on time. The buyer refused to accept the goods and that time no buyer wish to buy from our country. That time our RMG exporters did not get any Export L/C from buyer. Sometimes the quality of goods was not good. So the importer refused the contract. Another important reason is changing buyer behavior. Sometimes buyers get the offer from another foreign country at a less price comparing to our country, then the importers break the contract. The export L/C is cancelled frequently in pre shipment and after shipment. Sometimes goods are ready that time Export L/C is cancelled. Then goods should be stored in the storehouse. Besides goods in the way of destination or in the destination, buyers can refuse to accept the goods. Export L/C can be cancelled during making the goods. When the export L/C is cancelled, the exporter makes different types of decision with the stock of goods. Exporter can sell the goods partially at a less price in the local market by the permission of the advising bank and having a new export L/C at a less price. Exporters can also sell through TT- advance payment. Here the buyer will pay first then the goods would be sent. About 95% respondents said that exporters bear the cost to bring back the goods from destination and 5% respondents said importers bear the cost to bring back the goods from destination. In my survey 60% exporter said that they have adjusted their force loan account fully and 40% exporters have not adjusted their force loan account fully. Many exporters lose securities when they failed to pay the force loan. Exporters lost mostly FDR, Land, Flat and Factory and machinery. Banks liquidate that securities and adjust the exporters force loan account. If the Export L/C is cancelled for the exporters fault, then this cancelled L/C affect their business very much. First problem is that the exporter will not get export order from that importer, secondly the local or foreign seller of accessories and fabrics will not accept the L/C of that exporter’s advising bank. Thirdly exporter’s garments will lose valuable reputation. The factory becomes stopped due to the Cancelled export L/C. About 80% exporter said that their factory or production was stopped for some days due to the cancelled export L/C. About 20% exporter said that their factory or production was not stopped for some days due to the cancelled export L/C. There are many reasons of late shipment. Load shedding is the main problem of late shipment. Exporter can not produce the goods for load shedding. Due to political disturbances the shipment can be late. Labor of garments can protest against the owner, and then the work can be stopped for labor disputation. So due to labor disputation shipment can be late. Here my respondents are the bankers who are working in the foreign trade department in the bank. The analysis of collected information is written in the below. Exporter should keep securities more than Export volume of one year. When exporters want to deal with a commercial bank concerning the Foreign export L/C, they have to keep securities against the Back to back L/C, packing credit and foreign documents bill purchase. About 100% respondents (bankers) think that exporters should keep securities more than the total export volume of one year. The total export volume of one year would be declared by the Bangladesh bank. As much as the exporters will keep security, the uncertainty of bank will be reduced, besides keeping more securities in the bank increases the confidence in export business. I have found from my survey that 100% respondents (bankers) don’t open more than 75% back to back L/C so far. Because they think that it increases the risk and if it is more than 75%, the exposure should be more than security. Responsible for cancellation of Export L/C. I have found from the survey that 95% respondents think that the exporter is responsible and 5% respondents think that importer is responsible for cancellation of export L/C. Bank creates Force loan account frequently to settle the L/C procedure. If banks don’t pay the back to back payment, the L/C procedure remains incomplete. Banks have to complete these procedures whether the export L/C is cancelled or not. If the banks don’t pay the Back to back payment on time, the export business will be hampered. To smooth run of export business, bank creates force loan account. To maintain the reputations, banks create force loan account. Because if the bank fail to pay the payment of back to back payment, the seller of accessories and fabrics will not accept that bank’s L/C. About 50% respondents said that the exporters keep illiquid asset in the bank and about 50% employees said that the exporters keep illiquid asset in the bank. A cancelled export L/C effects very much in the bank’s profit. It reduces the banks earnings. It reduces the deposit of the bank. When the bank pays the Back to back payment from the force loan account, usually this money is the depositor’s money. So the bank could invest this money in a very good project. Thus bank is losing earnings and the total export volume is reducing. Most of the respondents said that they would like to minimize the risk by increasing the liquid securities. Most of the exporters keep illiquid securities in the banks, so when banks go to liquidate the security they face many problems. The banks should supervise the factory frequently to see that the exporters are really working or not. The banks should properly scrutinize the export L/C to see whether the importers broke any contract before. When banks go to liquidate the securities they face many problems. The first problem is legal complexity. It takes many times to solve the problem legally. Second problem is political influence. The exporters use his political power to save their asset from liquidation. They threat the banks not to liquidate the securities.And the third problem is communication gap. The exporters never try to communicate with the bank. The bank tries to communicate with them but they don’t respond. The respondents (banker) highly agreed that an exporter should keep securities for Export facilities. The mean of the opinion is 1.00 & the standard deviation is .00. It can be realized from the result that all the bankers answered in the same way. The deviation is very low. It can be said that this is the best result of the opinion. At the beginning, exporters have to keep securities like FDR, building, flat, share against the export facilities as an export L/C is very risky. Bank asked some securities to minimize that risk. Average bankers agreed in the opinion that to open a Back to Back L/C, more than 75% is very much risky but it accelerates the export business. The mean of that opinion is 2.55 and the standard deviation is 1.19. Standard deviation is high so it can be realized that all the bankers answered in different ways. So this is not a good result. Banks give 75% Back to Back facilities against an export order. The exporter buys fabrics and accessories by the 75% back to back L/C. Sometimes exporters can not meet the demand with 75% facilities. So the exporter demands more than 75% back to back L/C. If the Bank gives more than 75% back to back L/C Facilities to the exporter, the bank will have to bear more risk. L/C is a documentary credit if the bank gives more credit to the exporter, the uncertainty will be increased. Here future earnings from the exported goods work as a collateral for the exporter. Besides if the bank is failed to fulfill the need of exporter then the export business will not be accelerated in Bangladesh. The bankers also agreed that an export L/C is very muck risk for the bank. The mean of that opinion is 2.15 and standard deviation is .74. Here all the officers answered in the same way. The deviation is low. Exporters disagreed in point that 75% back to back L/C facilities are reasonable for them. The mean of that opinion is 1.90 and standard deviation is 1.51. The respondent didn’t answer in the same way. The deviation is high. So, this is not a good result. Though exporters sometimes demand more than 75% Back to Back facilities when the quantity of order is big, besides exporters disagreed in point that bank creates force loan account when an export L/C is cancelled. The mean of that factor is 1.65 and the standard deviation is .93. Generally when an export L/C is being cancelled, banks face many problems. Banks have to pay the payment of Back to Back L/C (fabrics and accessories) whether the export L/C is cancelled or not. The banks can not liquidate the security very quickly. Then the banks pay the back to back L/C payment from the bank’s own deposit by creating a loan account. That is called force loan account. It is a burden for the exporters. The exporters don’t think that an export L/C is risky. They disagreed about that opinion. The mean of that opinion is 3.80 and standard deviation is 1.19. Here, the standard deviation is high. So it can be said that the respondent answered differently. When an L/C is being cancelled both the bank and the exporter bear the loss. But the loss of the bank is temporary. The exporters agreed that they bear high risk than the advising bank against the export L/C. The mean is 4.05 and standard deviation is 1.19. So this is not a good result. Because exporters answered in different way and the deviation is high. Exporters pay the force Loan account with a 16% loan rate. They don’t think that the rate is reasonable for them. They strongly disagreed. The mean is 1.00 and the standard deviation is .00. So this is a good result. There are many factors that effects cancellation of export L/C. Exporters think that the impact of quality of goods is average in cancellation of export L/C. The mean of that factor is 2.90 and standard deviation is 1.68. The deviation is high. So the result is not a good result. Sometimes importers refuse the goods if the qualities of goods don’t match with the proforma invoice. The impact of quantity of goods is low in cancellation of export L/C. The mean is 2.05 and standard deviation is 1.23. The deviation is high. So this is not a good result. The impact of mode of shipment in cancellation of export L/C is low. The mean is 2.35 and standard deviation is 1.18. The deviation is high. So, this is not a real result. Sometimes exporters send the goods on their own instead of what shipment mode is written on the L/C terms and conditions. So the goods can be damaged. Electricity plays a vital role in the production. In Bangladesh the impact of electricity in cancellation of export L/C is high. The mean of that factor is 4.20 and standard deviation is .89. If electricity does not work well during production, it will be quite impossible to deliver goods on time. So the exporters have to use generator to deliver the goods on time. But per unit cost will be increased for using generator. So the exporters can face a huge loss. The deviation is low. The impact of knitting and dying in cancellation of export L/C is average. The mean is 3.20 and standard deviation is 1.50. The exporters who produce woven, for them Knitting and dying is not a big problem. But the exporters who produce knit, for them knitting & dying is big problem. The deviation is high. So this is not an actual result. The impact of political problems in cancellation of export L/C is high. The mean is 3.65 and the standard deviation is 1.38. Political unfriendliness is very common in Bangladesh. Political groups use the garment sector for their own interest. Opposition party always calls for strike and destroys the factory, fires the goods. As a result exporters can not deliver the goods on time. The impact of labor disputation in cancellation of export L/C is very high. The mean of that factor is 4.20 and standard deviation is .89. Sometimes exporters can not give the wage on time to the labor. So they stop their work, come to the street and protest against the owner. The customs rules of Bangladesh don’t have a great impact on cancellation of export L/C. The mean of that factor is 1.25 and the standard deviation is .71. The deviation is low. So this is a good result. Changing buyer behavior can impact much in cancellation of export L/C. The mean of that factor is 4.60 and standard deviation is 1.23.The importers can get an offer from another country at a less price. Then they refuse to accept the goods. The deviation is high. So this is not a good result. Here about 55% exporters strongly disagreed, 35% exporters disagreed and 10% exporters agreed in that opinion “Bank creates force loan account against the cancelled export L/C”. Here about 35% exporters thought that the impact of quality of goods in cancellation of export L/C is very low, 25% exporters thought that the impact of quality goods in cancellation of export L/C is very high,20% exporters thought it is high, 10% exporters thought it is low and 10% exporters thought the impact is average. Here about 40% exporters thought that the impact of quantity goods in cancellation of export L/C is very low, 35% exporters thought that the impact is low, 15% exporters thought that the impact is average and 10% exporters thought that the impact is very high. Here about 30% exporters thought that the impact of mode of shipment in cancellation of export L/C is very low, 30% exporters thought that the impact is average, 25% exporters thought that the impact is low, 10% exporters thought that the impact is high and 5% exporters thought that the impact is very high. Here about 60% exporters thought that the impact of electricity in cancellation of export L/C is high, 35% exporters thought that the impact is very high and 5% exporters thought that the impact is very low. Here about 60% exporters thought that the impact of knitting and dying in the cancellation of export L/C is high, 30% exporters thought that this impact is very low and 10% exporters thought this impact is very high. Here about 40% exporters thought that the impact of Political problems in cancellation of export L/C is high, 30% exporters thought this impact is very high, 15% exporters thought this impact is very low, 10% exporters thought this impact is average and 5% exporters thought this impact is low. Here about 60% exporters thought that the impact of labor disputation in cancellation of export L/C is high, 35% exporters thought this impact is very high and 5% exporters thought this impact is very low. Here about 85% exporters thought that the impact of labor disputation in cancellation of export L/C is very low, 10% exporters thought this impact is low and 5% exporters thought this impact is high. Here about 90% exporters thought that the impact of buyer behavior in cancellation of export L/C is very high and 10% exporters thought this impact is very low. Here about 70% bankers disagreed in that opinion that Opening back to back L/C more than 75% is very much risky but accelerates the export business, 15% bankers highly agreed with that opinion, 5% bankers highly disagreed and 5% bankers disagreed with that opinion. Here null hypothesis should be rejected. Exporters don’t agree that 75% back to back facilities are reasonable for them. Exporters don’t agree that bank creates force loan against the export L/C. Exporters don’t agree that export L/C is risky. Exporters don’t agree that exporters bear higher risk than the advising bank against the export L/C. Exporters don’t think that the impact of quality goods is high in cancellation of Export L/C. Exporters don’t think that the impact of quantity goods is high in cancellation of Export L/C. Exporters don’t think that the impact of mode of shipment is high in cancellation of Export L/C. Exporters don’t think that the impact of electricity is high in cancellation of Export L/C. Here null hypothesis should be rejected. Exporters don’t think that the impact of political problems is high in cancellation of Export L/C. Exporters don’t think that the impact of changing buyer behavior is high in cancellation of Export L/C. The null hypothesis should be rejected. So the bankers don’t agree that opening back to back L/C more than 75% is risky but it accelerates the export business. The null hypothesis should be rejected. So the bankers don’t agree that an export L/C is risky. The CAMEL rating marks indicate that ICB Islamic Bank Limited is a ‘problem bank’ for its lack of corporate governance, insider lending, increased amount of default & fictitious loans & provision deficit, among other things. ICB Islamic Bank Limited has failed to generate new ideas for technological improvement, without using modern technology bank can not even think of remaining in business in near future. Marketing policies of this Bank are very poor. Such a big share of classified loan indicates weakness in the lending policy of the bank. Bank cannot provide new facility to the existing employees as bonus or other benefits. So, in the competitive banking environment skilled employees are leaving this bank as they get more suitable opportunities from other banks. No new appointment can be undertaken. The processing systems of some services are lengthy & more time consuming. Lack of sufficient & skilled manpower. Sometimes ICB Islamic Bank Limited cannot invest their deposit in proper portfolio. Investment is the heart of the bank & it’s the main source of income for a bank. But lack of sufficient investment scope is creating a large amount idle money. As a result, profit is not increasing. The Highest (about 60%) respondents (Exporters) of my survey were knit producers (shirt, T-shirt etc). The major buyers of our RMG sector are Canada, America & Netherlands. So the highest foreign currencies of RMG sector are coming from these countries. Most of the Exporters keep illiquid asset as security like land, flat, factory & machinery. Most of the exporters buy accessories & fabrics from foreign markets. So the amount of foreign currencies we get by exporting, these remittances go to another country. The key distributors of accessories and fabrics of our RMG sector are China and Hong Kong. A large sum of the exporters needs 75% Back to Back L/C against an export order. I found from previous five years study that the maximum number (12) of export L/C was cancelled in 2006; a very low number of exports L/C (66) were deal in 2005 and the maximum number of export L/C (235) were deal in 2008. The majority number of Export L/C is cancelled in pre-shipment and after-shipment. The exporters get a new export L/C for the stock lot of goods or sell the goods through the TT- advance payment at a less price comparing to the mother L/C. About 40% exporters have not adjusted their force loan fully. It shows that the deposit of the bank is invested in a very loss project. The bank is losing earning for that kind of investment. A large amount of the exporters adjust the force loan by another export proceeds. Most of the exporters lost FDR and land for the Force loan account. For the result of the cancelled export L/C, the exporters don’t get export L/C from buyer and the seller of Accessories and fabrics don’t accept the L/C. The production or factories become stopped for the cancelled export L/C. Electricity and the political problems are the main reasons of late shipment. 75% back to back L/C facilities are reasonable for the exporters. Exporters are bearing higher risk than the advising bank against an Export L/C. 16% loan rate is not sound for the exporters. Quality of goods, electricity, changing buyer behavior, political problems and mode of shipment impact very much in cancellation of export L/C. The banks don’t open back to back L/C more than 75%. Exporter is mostly responsible for the cancellation of export L/C. Banks create Force loan account to settle the L/C procedure. A cancelled export L/C decreases the deposit of the bank and bank’s export volume. Banks face legal complexity and political influence problem when go to liquidate the securities. The bank can forecast before an export L/C is cancelled by the business trend and business attitude of exporter. For the cancelled export L/C, Bangladesh is losing reputation about the export business. On the basis of overall analysis, I would like to briefly say a few words on the overall policy and performance of the Bank. If following steps can be taken, it will help to develop the Bank’s performance. The bank continues to maintain its leading role to strengthen growth initiative in the private sector. This being the age of competition, the bank has to bring in gradually the use of more modern technology in their operations as well as to introduce innovative practices. Improving operational skill into management of the Bank’s affairs is also a major step to strengthen the growth of the bank. This is very much necessary to meet the requirements of expanding client and to ensure them full range of banking services. Despite of many constrains, the Bank continues to move ahead with steady growth of business. It gives top priority to strengthen relationship with the members of trade, commerce and industry so as to expand the arena of business as well as to earn greater confidence of the customers. To this end, greater public relationship activities are being channeled from both Head Office and branch level to further enhance the image of the bank to the general people. Customer satisfaction will continue to remain the first priority in our professional perception. In all of their business activities, they should recognize their operation to establish an even greater benefit for their customers by providing quality banking services. The financial service market around the world is being reshaped due to change of policy measures of the bigger economies of developed countries and globalization. In consideration of all these factors they have to develop new policies and action plans to further strengthen the working methodology that go well with the need of new era and to adjust with prevailing situation. To attract more clients towards ICB Islamic Bank Limited. The bank has to create a new marketing strategy, which will increase the total, export- import business. A safe and convenient way to have access to your money. Enjoy local and international access to your money 24 hours a day, 7 days a week. Take your bank wherever you go. Have access to information relating to your accounts at anytime, anywhere in the world 24 hours a day. 24 hours help line to assist you with all your banking enquires. Effective and efficient initiative is necessary to recover the default loans. Attractive incentive package for the exporter will help to increase the export and accordingly it will diminish the balance of payment gap of ICB Islamic Bank Limited. Introduction of attractive WES, which will increase the remittance. For the foreign exchange officials long terms training very much essential. 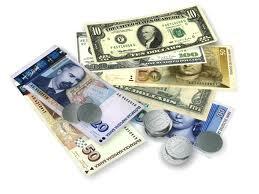 Foreign exchange operation of other renowned commercial banks is more dynamic and less time consuming. ICB Islamic Bank Limited should take some initiative to compete with those banks. Bank can provide foreign market reports, which will enable the exporter to evaluate the demand for their products in foreign countries. Shortfall required loans loss provision and capital adequacy. Scope of working sector is manually and so, overall banking system is slow. Skilled manpower of other banks is more efficient. Lack of Corporate Governance, insider lending, increasing amount of defaulters and fictitious loans, provision deficit and some other similar factors are contributing in making ICB Islamic Bank immensely incompetent in the commercial banking sectors. According to my personal observation; ICB should improve its Marketing policies, cancel giving out big share of classified loans, improve facilities for the existing employees so as not to loose out qualified bankers and suffer critical loss through the process of having a great deficiency in skilled man power. ICB should focus on investing their deposit in proper portfolio and also in different sectors to increase annual profit scale. I strongly believe that ICB should provide a more intensive technical support to its customers and in this tech era providing some necessary features like ATM services, Internet banking etc is very important for a developing bank. Bank should also develop various new schemes which will definitely raise interest among customers and bring strengthen ties between the Bank and the customers, strengthening relationship should now be a number one priority. Relationship cannot be reinforced until customer satisfaction is reached its prime, providing quality banking services not only benefit the customers but actually it benefits the bank by bringing large amount of customers who stay loyal to the bank and form a close affiliation with it. To increase the total export-import business ICB should implement new marketing strategy which is necessary to compete with other Banks who are already providing such efficacies and targeting the contemporary customers of this age bracket. Nowadays customers living abroad require 24hr services from their banks, on top of that Foreign Exchange Banking with attractive WES, to increase remittance, newer strategically shaped incentive packages will help in providing necessary means for the bank to hold on their foreign customers and add new names to the directory. ICB can provide foreign market reports, which enables them to export and evaluate their products in foreign countries. ICB has a genuine network of more than 32 branches across the country providing a supportive role for the central bank of Bangladesh; it is earning a chunk amount of foreign exchange which in turn is helping to strengthen economic wealth of the nation. Technical equipment those being installed are new and much more efficient then the existing setup in our country. And now only if regularity in preserving a proper relationship is maintained then hopefully we will observe a favorable environment for private sector development, opportunities for newer employment will provide fresh thinking tactic into the system and will eventually help to raise the standards of service. ICB Islamic Bank Limited being a leading member of private sector in Islamic banks in the country endeavored to adjust itself to this new situation by adopting pragmatic policies and strategies. The Bank faces the challenges as new banks are arising and many foreign banks start their journey. Continued efforts have been made to enhance the growth and development through the realistic policy pursued by the Board of Directors and Management. In addition to that determined and dedicated professional efforts of the Executives, Officers and Employees helped the Bank to merge ahead to fulfill the commitment. Proper financial system of a country can contribute towards the development of that country’s economy. In our country, banks have a leading power to contribute in financial system. For this reason, the banks should have a potential role to make our financial system stronger. In this arena, private commercial banks are playing a vital role in the development of our economy. But Govt. and Bangladesh Bank play a crucial role to the private commercial banks through imposition of deposit restriction, lending role and other banking operations. In recent years of banking business, ICB Islamic Bank Limited has shown better performance comparing with other first generation banks. We expect that ICB Islamic Bank Limited may hold its prospect in future and can play a vital role in the socio-economic prospective. 1.Bangladesh Bank Bulletin (Oct-Dec, 2007). 2.Dr. Debnath R. M., Business of Banking, First Edition, Lotus Publishers. 4.Daily Notebook, written during the orientation program. 5.Khan, S.A., CAMEL Rating. Bangladesh Institute of Bank Management. (Working Paper). 7.ICBIBL, Working Manual for different department. 8.The Oriental Bank Limited, annual report from 2003-2007. Text Book on Foreign Exchange — L.R. Chowdhury.